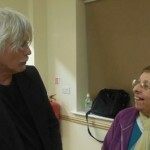 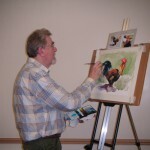 Kidderminster Art Society were treated to a demonstration by the well known artist Chris Saunderson this evening. 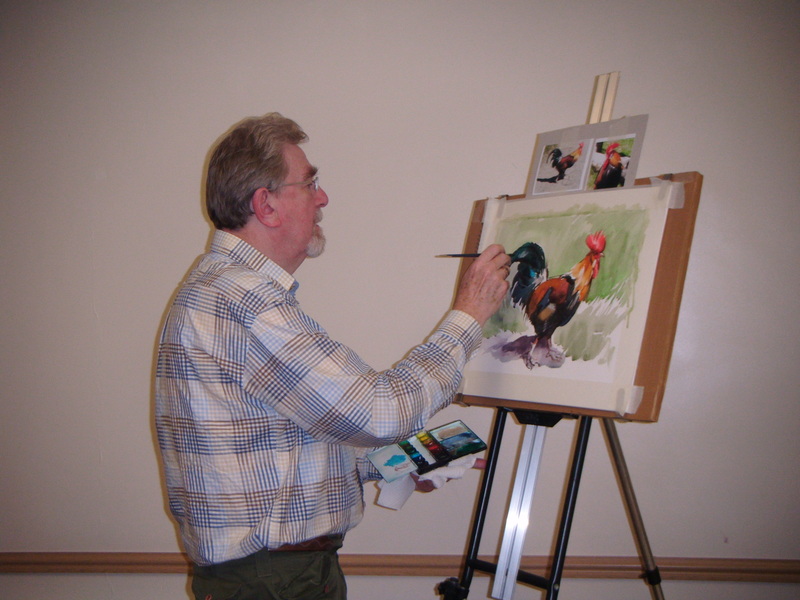 His stunning painting of a cockerel tied in with this month’s theme of feathered friends. 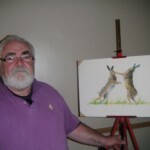 Chris used vibrant, flowing colours to create a powerful image in watercolour using a combination of Windsor and Newton Artists colours and Daniel Smith Watercolours on Langton rough paper. 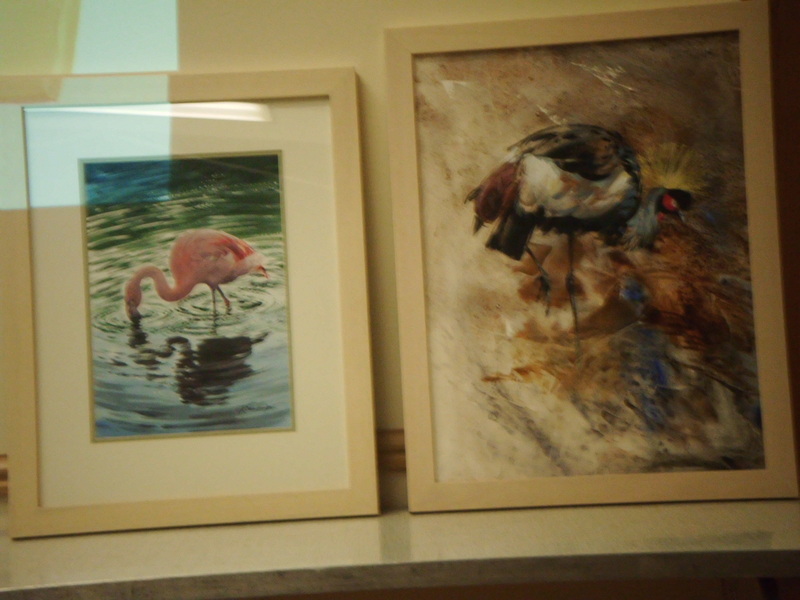 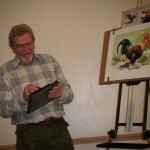 Chris enjoys creating digital art on his tablet and he brought along some samples of his work to show the group. 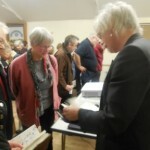 He was also kind enough to provide a list of his favourite apps for anyone wanting to have a go. 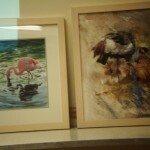 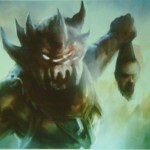 Below, some other work by Chris that he brought along to show us. 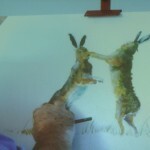 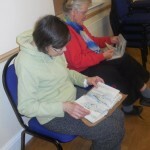 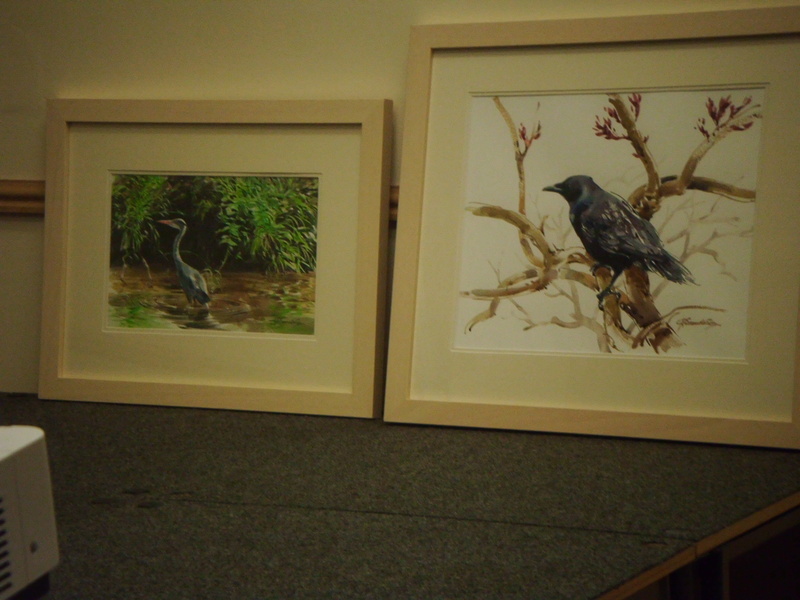 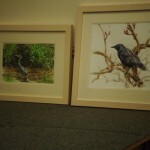 Tonight’s art demonstration at Trimpley Village Hall was by Lynda Kettle. 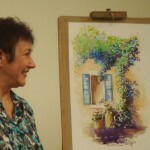 Lynda showed the members how she uses watercolour paint to achieve bright, lively paintings full of colour and contrast. 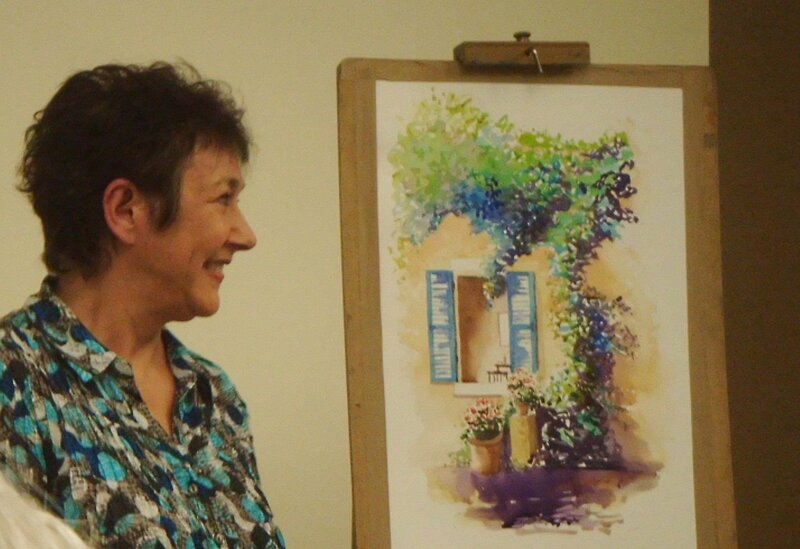 Lynda worked for the BBC as arts director and designed sets for such programmes as Pebble Mill. 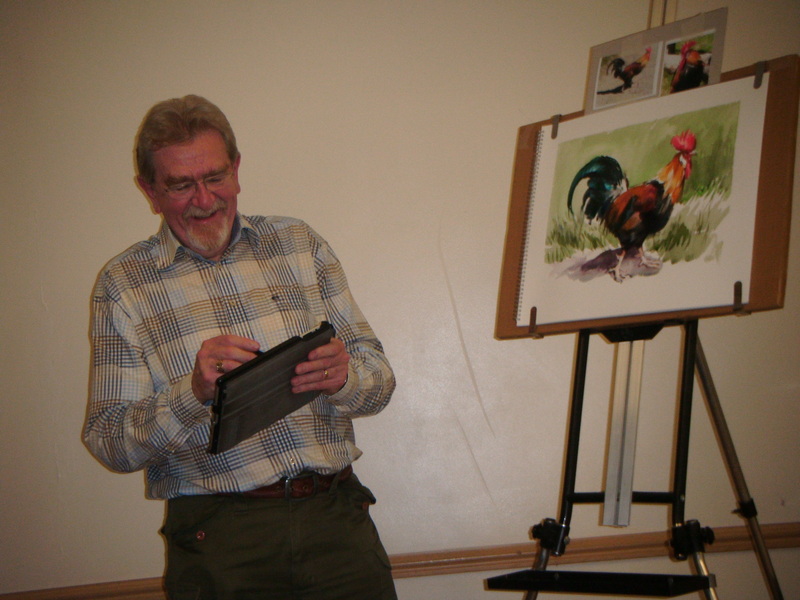 This evening members of the Kidderminster Art Society were treated to a demonstration by Sam Manley, freelance illustrator and current chairman of Ludlow Art Society. 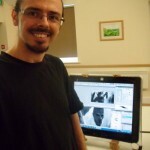 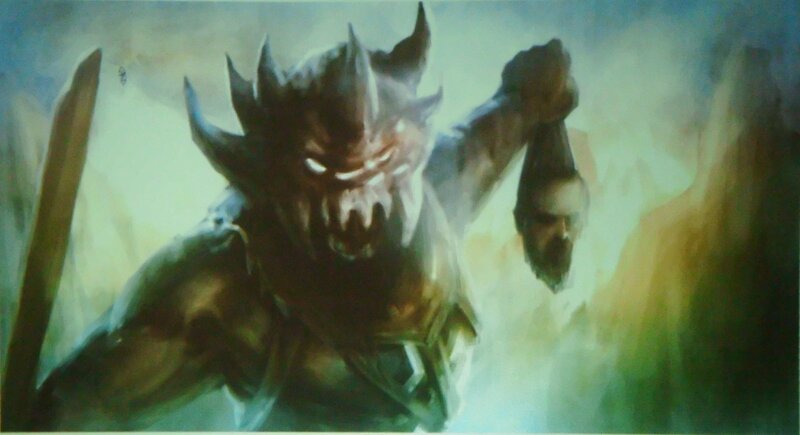 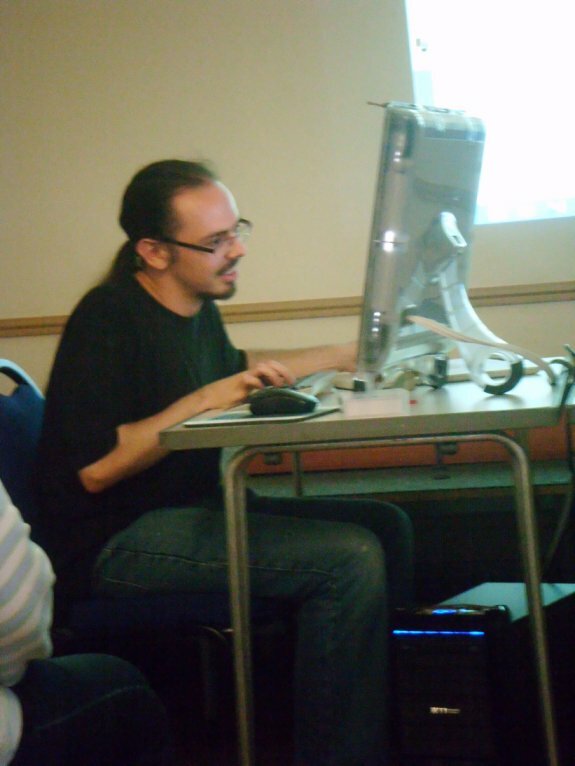 Sam specialises in digital art using Photoshop and has worked on many projects including the Dr Who card game and illustrations for Gun Metal Games and Fantasy Flight Games. 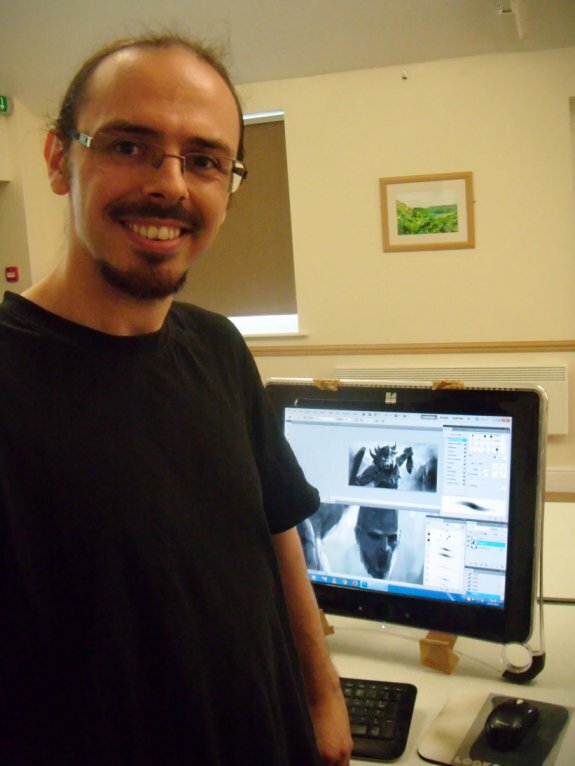 Sam began with a rough digital sketch and showed us how he developed it from a basic tonal image to a full colour illustration, working in layers and using the various tools available in the programme. 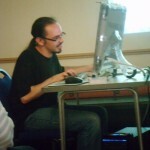 Below you can see him at work.